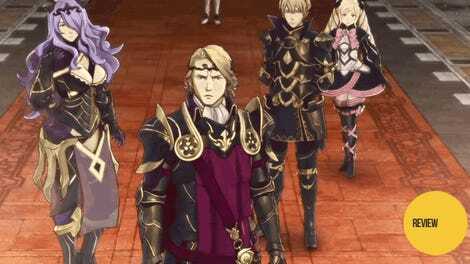 I never played a Fire Emblem game until Fire Emblem Heroes. The game dazzled me with a colorful (if horny) cast and the promise of distant realms. I wanted to see more so I bought a 3DS and played Awakening. What I found was magical and inspiring. Fire Emblem Awakening follows Chrom, a brave prince who travels his realm doing good for his citizens. I was cast into the role of an amnesiac tactician that joined Chrom’s band of merry men and women. Our fights started with warmongering neighbor states and grew to epic, world saving proportions. 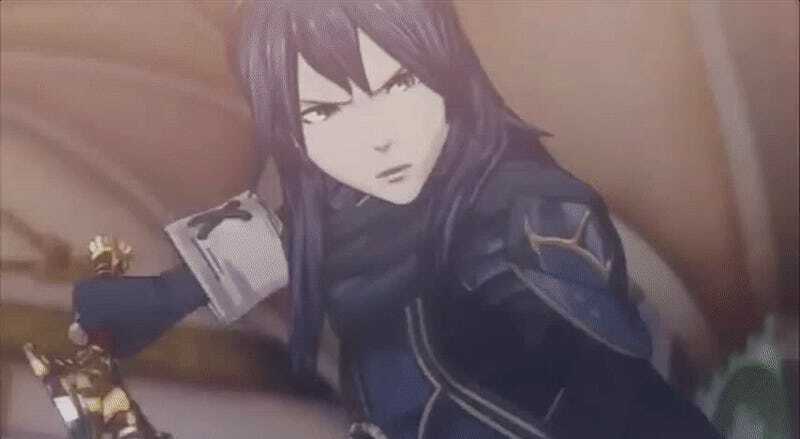 It really took off with the arrival of Lucina, a skilled and mysterious swordswoman. She was a brave youth sent into the past to prevent a dire future where an evil dragon destroys humanity. In my playthrough she was my daughter, heroically tearing the very fabric of time to save the world from doom. The specter of annihilation doesn’t just loom within the game’s narrative. It suffuses the mechanics as well. Characters may fall permanently in battle, shot dead by a sneaky archer or toppled by a random critical attack. In this sense, Awakening is a game about death. But it also is also about how the bonds we forge ultimately save us. Pairing units together on the battlefield not only grants statistical advantages and helps ensure survival, it actually build a connection between the two character in the pairing. As I ordered my soldiers around to make sure they all made it home in one piece, they built relationships. Unlikely friendships developed. Romances blossomed. A prince befriended a thief. A dark mage fell in love with a bashful dancer. Their connections emboldened them to fight for the future and protect each other on the battlefield. Needless to say, after some politicking and plot twists, the heroes slew the dragon. Because that’s what heroes do. In the face of insurmountable obstacles, they do not just climb over the mountains in their path. They leap over them. It filled me with a strange nostalgia, a wondrous feeling of affirmation that I’d only found in one other game: Skies of Arcadia. Skies of Arcadia’s bright positivity affects me to this day. I bring it up incessantly but I cannot sufficiently stress the importance of that game as a personally formative piece of media. Vyse and his pirate friends never balk at danger. They do not believe in the word ‘impossible.’ They do not back down, no matter how dire things seem. They believe, inexorably, that if you possess the will, you will always find the way. It is tempting to view these narratives reductively. To contort their faith filled, positive philosophies into foolish naïveté. To reduce Awakening to a simple tale of mankind versus magical monster and say that such a story is a childish and empty fairy tale. I don’t agree. I believe such stories are essential. It is important that Vyse and his pirate crew topple the evil empire. It is important that Lucina and Chrom defeat the fell dragon. These stories are crucial because we often forget that it is possible to slay our everyday dragons. We forget that there is fundamental goodness and fortitude present within each and every one of us that can guide us in the hardest of time. When the world tricks us into thinking that we cannot succeed, these stories remind us that the victory of good over evil is not just possible, it is inevitable. I’ve since moved on to Fire Emblem Fates: Conquest. It is a darker game with much more bloodshed but the fundamental sentiment remains. Although there will be loss along the way, it is possible to grind the mechanisms of war to a halt. To leap over mountains. I didn’t know what to expect from Fire Emblem. I was given exactly what was advertised: heroes.